Every week I drive past my local Barnes & Nobles located located down the street from my house. Every time I drive by, my seven-year old expresses an interest to go in. Today, we carved out some time to see what was new. Upon entering the store, I was immediately escorted into the children’s section by my little eager reader. He loves going there. As we walked through the aisles in the children’s section, his eye went to several books he was quite familiar with. I had read them to him dozens of times during his most formative years. “The Going To Bed Book” by Sandra Boynton. “Good Night, Gorilla” by Peggy Rathmann. “The Giving Tree” by Shel Silverstein. “If You Give A Mouse A Cookie” by Laura Joffe Numeroff. My bedtime routine with my son, Andrew – pictured here at age 3. Instantly, we were transported back in time, on the bed of nostalgia, him snuggled in front of me, as I read that evenings bed time story. Bedtime stories are a favorite past-time for every parent and child. Not only does it provide the foundation for reading and lay the cornerstone of learning, it’s a wonderfully bonding exercise between parent and child. I miss those days. My older children (teenagers) just don’t sit on my lap quite as much anymore. The books they read don’t have pictures in them either. And none of them rhyme. Also, their books are called videos. How excited I was to learn of a new book about to hit the market. The book has everything that makes a children’s book a success: A cute character. An interesting story line that children can relate to. A great moral lesson. Suspense. Engaging illustrations. It even rhymes like a Dr. Seuss book. Unlike every other book I have ever read with my children, this one is intensely personal for me. Whereas every other book I have read I bought at the store, this one was sent to me directly by the author. Whereas the other books were read after they were published, I read this one beforehand. Whereas other books were read after dozens of others recommended them to me, this one I got to read before the masses. Such is the advantage when the author of the next great children’s book happens to be your brother. I thought I would take this opportunity to introduce my loyal readers to this great book and share how you can get a copy of it. For those of you who would like to purchase it, my brother (Matt) has graciously offered to give my global audience a discount. More details on that to come. The following link will provide more information about the book, my brother and what it is about. Also an artist, the book is fully illustrated by Matt and includes a video trailer (created by my sister) for you to see. He has decided to utilize the help of a creative website to help him launch it. Just 24 hours in, it has already proven to be a good decision. If you still read to your children, consider this book for your personal library. If you have small children in your life (Nieces, nephews, cousins, siblings, grandchildren) consider this for their next birthday. If you are affiliated with an elementary school, perhaps your school library would like to put this on their shelf? 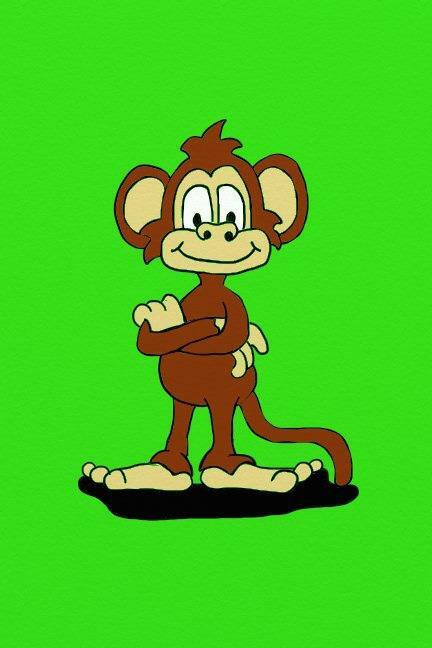 The story of Bingo the Monkey has a timeless message that both kids and parents will love! Regardless, keep reading to your children. The lessons they learn from the pages of these books stay with them for life and the memories stay with you forever, long after they’ve left your lap.